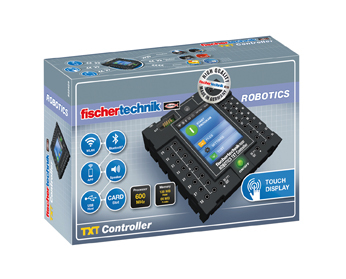 The compact ROBOTICS TXT Controller (90x90x25mm) can easily be controlled using the 2.4” color touch display. 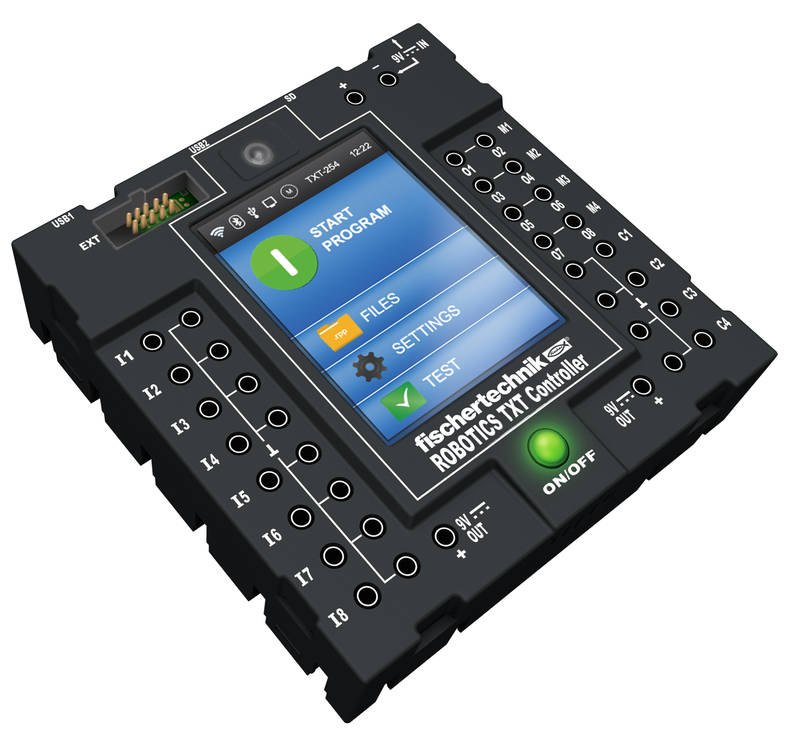 The combined Bluetooth/WiFi wireless module offers a great, wireless interface for lots of applications. 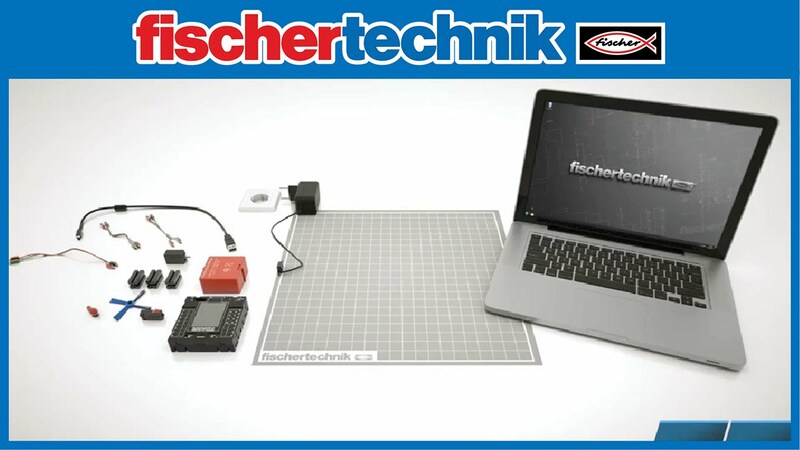 The many different ports include a USB host connection, where USB sticks and devices like the fischertechnik USB camera can be connected. The integrated micro SD card slot allows you to expand the memory capacity. Multiple TXT controllers can be linked.